A kingdom hangs in the balance as Quentin begins his quest. Carrying a sealed message from the Dragon King, Quentin and his outlaw companion, Theido, plunge headlong into a fantastic odyssey that leads them throughout Mensandor. Danger lurks at every turn: from the brutal terrain to deadly encounters with both humans and creatures of unknown origins. As their quest progresses, Prince Jaspin schemes to secure the crown for himself, and an evil sorcerer concocts a monstrous plan for power. In an effort to save the kingdom and fulfill his destiny, Quentin must travel through strange lands filled with brave knights, striking maidens, a mysterious hermit, and a gigantic deadly serpent. And then, his true journey is only just beginning. 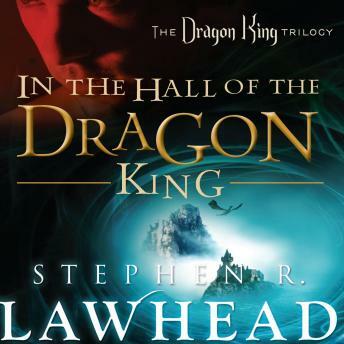 Brimming with adventure, battles, and danger, Stephen R. Lawhead’s timeless epic will satisfy listeners of all ages.